What are the best things to pack for a picnic in Central Oregon? We love picnicking with our favorite local purveyors, so we always pack a few sticks of Olympia Provisions salami, a round of Ancient Heritage cheese and a Little T Baker baguette for an easy cheese and charcuterie board. For a sweet finish, we pick up a box of Alma Chocolates or a few Xocolatl de Davíd chocolate bars. 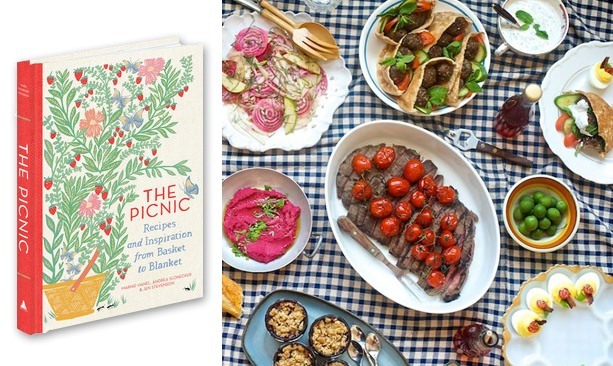 This time of year in Oregon, pretty much your entire picnic can be pulled straight from the farmers’ market — we’d have a lovely salad with baby lettuces and radishes, a tortilla Espanola made with fava beans and Yukon gold potatoes, and few baskets of Hood strawberries with whipped cream for dessert. In summertime, we’d buy baguettes from the Bend Farmers’ Market (which opens in June), sweet treats from The Sparrow Bakery and fresh produce from Rainshadow Organics. Can you name few cool spots for a primo picnic in Central Oregon? 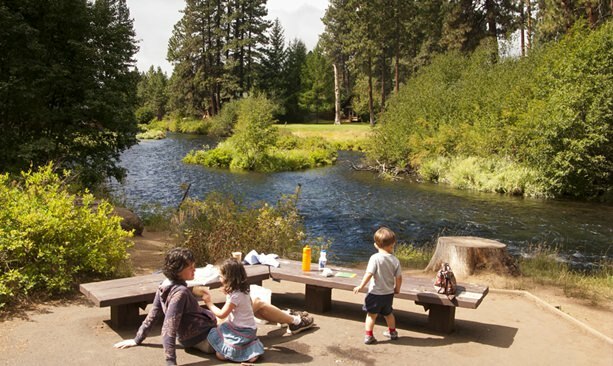 Anywhere along the magnificent Metolius River is going to be the most idyllic picnic spot possible. You can stop for provisions at the old-timey Camp Sherman Store, which makes pretty great sandwiches. We’re also looking forward to picnicking at Suttle Lake this summer; just 45 minutes from Bend, The Suttle Lodge is opening in June after an exciting remodel. There’s a lovely winery hidden out in the hills of Terrebonne called Faith, Hope and Charity Vineyards, with a beautiful garden surrounding a pond and stunning mountain views. The tasting room is open every day from 12-5 p.m. and during the week they allow picnics (on weekends they have outside food vendors), so bring a delicious spread to enjoy with their Viognier. 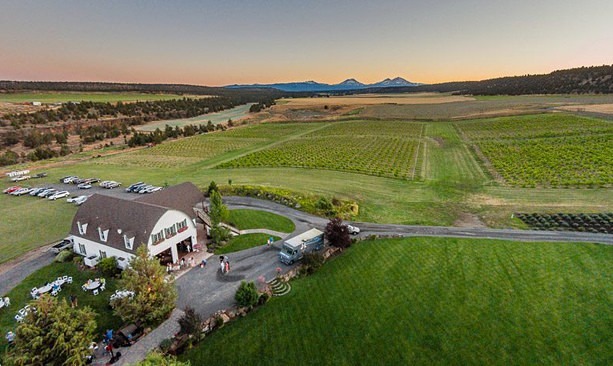 You can also picnic at Central Oregon’s founding winery and vineyard, Maragas Winery in Culver — they have a gorgeous grassy area with big views, plus a bocce court! Do you have tips for finding the right spot — and what kind of places to avoid? Scout everything out — make sure the grass is lush, your neighbors are mellow and that if there are bathrooms and trash bins around, they’re close enough but not too close. 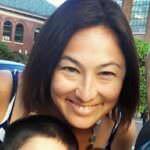 To help ward off any potential picnic downers, pack a little first aid kit, sunscreen and bug spray. And don’t forget the cardinal rule of picnicking — never leave home without your corkscrew, especially when you’re picnicking in the wilds!